Lactose intolerance is one of the most common intolerances in the world. It is the inability of people to digest and metabolise the sugar lactose found in milk, and milk products due to deficiency in the enzyme lactase which is required to digest it. A person with lactose intolerance consuming lactose containing products will often experience uncomfortable symptoms including: flatulence, bloating, abdominal pain and diarrhoea. Unfortunately whey and casein proteins, two of the most common and effective proteins available are derived from milk. What can I do then? I hear you ask. First and foremost, it is important to know that in general, people with lactose intolerance can actually consume milk and milk products. Secondly, the level of intolerance to lactose differs between individuals. So someone might experience symptoms with any lactose consumption, while another person can consume quite a lot of lactose before suffering any symptoms. A keen observer would have noticed that skim and low fat products contain a lot more lactose per serve and per 100 grams. This is not a typo. Lactose is water soluble so it is found in the water portion of milk and milk products. Removing fat means an increase in the water content of milk and milk products and so the amount of lactose increases. Taking the water content out, such as in making cheese or whey protein concentrates and isolates generally reduces the lactose content. Unfortunately many companies do not specify the amount of lactose in their supplements. Most whey proteins use whey protein concentrates and isolates which has most of the water content of whey removed leaving generally protein without the lactose. Whey protein concentrates (WPC) contain more lactose than whey protein isolates (WPI). Depending on your level of intolerance, generally speaking, consumption of up to 3-4 serves of whey protein is generally sustainable without excessive symptoms. Of course, start slow and see how it affects you before jumping right into it. If you are making up your whey protein supplement with milk, the amount of whey protein you can have is dramatically decreased. Also keep in mind that if you are consuming milk outside of supplement times, it might mean you can’t take any whey protein. With other products, make sure you read the ingredients list to check whether or not the product contains milk products or milk derivatives. If they do, be on the cautious side and factor this into your daily lactose intake. Better to be safe than sorry when it comes to intolerances. After all, no one likes the runs. Factor in any type of milk and milk products you will be having throughout the day before considering whey and casein supplements. Consume isolates instead of concentrates if possible regardless as to whether it is hydrolysed or not. Consider use of lactase providing tablets such as Lacteeze™. While milk and milk products are a great way to provide you with protein and carbohydrates, there are a range of lactose free milks and other milks made from plant sources such as rice or soy which are also capable of providing similar amounts of protein and carbohydrates. Ensure that you are getting enough calcium in your diet as well for maintenance of good bone health. Consume other foods high in calcium such as dark green leafy vegetables, broccoli and beans or consider supplementing with calcium supplements or calcium fortified foods. While lactose intolerance can be a pain sometimes especially when considering using whey and casein protein supplements, it is possible to do so without experiencing any negative symptoms. If you're seeking a protein supplement that excludes lactose, consider egg albumen, rice proteins, or soy proteins. Remember to check the nutritional panel, or label to confirm if there is any lactose in a product, and how this relates to your requirements. If you can handle negligable to no lactose products, remember that hydrolysed whey isolate protein have been broken down to such an extent that they should have near zero/zero lactose. Again, check the respective label for more info. 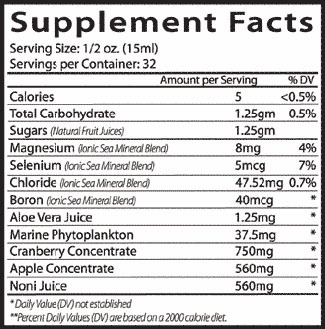 If you're looking for a weight gain protein supplement, varieties containing no WPC do exist. However they are a little difficulto to find. Alternatively, you could consider purchasing a WPI and adding your own source of carbohydrates for a "home brew". 1 Wilt TJ, Shaukat A, Shamliyan T, Taylor BC, MacDonald R, Tacklind J, Rutks I, Schwarzenberg SJ, Kane RL, and Levitt M. Lactose Intolerance and Health. No. 192 (Prepared by the Minnesota Evidence-based Practice Center under Contract No. HHSA 290-2007-10064-I.) AHRQ Publication No. 10-E004. Rockville, MD. Agency for Healthcare Research and Quality. February 2010. 2 EFSA Panel on Dietetic Products, Nutrition and Allergies (NDA); Scientific Opinion on lactose thresholds in lactose intolerance and galactosaemia. EFSA Journal 2010;8(9):1777. 3 www.lactose.com.au. Last accessed 24th June 2011.